The Dutch justice minister resigned after he misled parliament over a multi-million-euro cash award to a famous drug dealer. Details of the 4.7-million-guilder (€2.1 million) 2001 payment to convicted trafficker 'Cees H.' were made public Monday. The payout to the drug lord was made after the prosecution failed to prove that his confiscated assets had been acquired illegally. The deal was kept secret from both the public and tax authorities. The assets return was brought to light a year ago by Cees H.’s lawyers. Justice Minister Ivo Opstelten was then called on to report on the case to MPs. He said a much smaller sum was paid to the drug lord – 2 million guilders – and that all of the documentation on the deal was lost. On Monday, Opstelten revealed the actual sum of the payout, said there was digital data confirming the figure, and then announced his resignation. 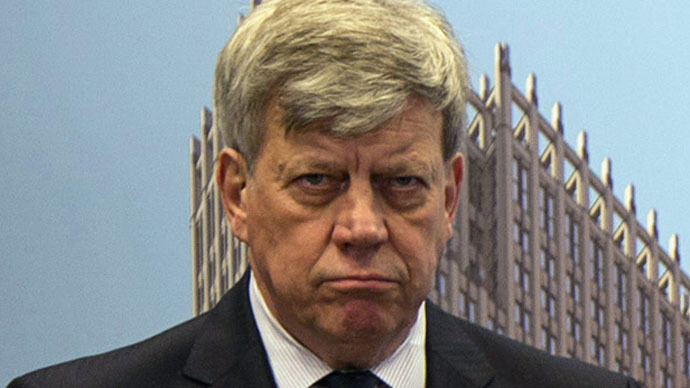 Deputy Minister Fred Teeven, who served as Amsterdam's public prosecutor in the Cees H. deal, followed suit. He argued however that “there was nothing wrong with the deal,” which “was done for folk and fatherland,” according to DutchNews.nl. The resignations are considered a serious blow to the ruling coalition days before provincial elections to be held March 18. "I have no choice but to respect their decision," Prime Minister Mark Rutte of the Liberal party said, as cited by Reuters. "The cabinet has lost two driven experts." The ruling coalition in the Netherlands is currently represented by the Liberal and the Labor Parties. The far right Freedom party is now leading in polls, according to Reuters.